My husband & I caught ourselves saying “Well, we’re only going on one honeymoon…” which inevitably inspired the abbreviation YOHO (You Only Honeymoon Once) – as huge Drake fans we obviously enjoyed the word play. Below is an account of how we YOHO’d – as well advice on making your YOHO honeymoon happen. 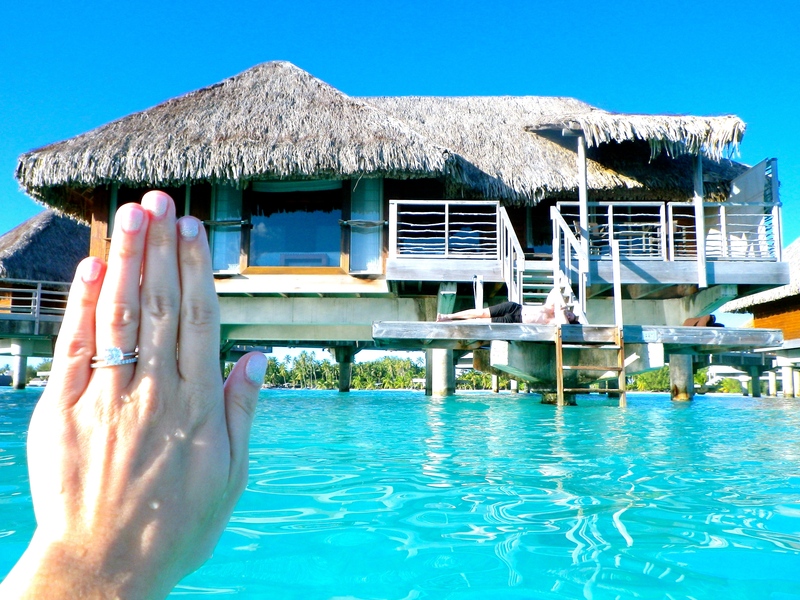 Most girls have a “dream wedding” in mind, I on the other hand was always set on my dream honeymoon, & it always included an overwater bungalow. 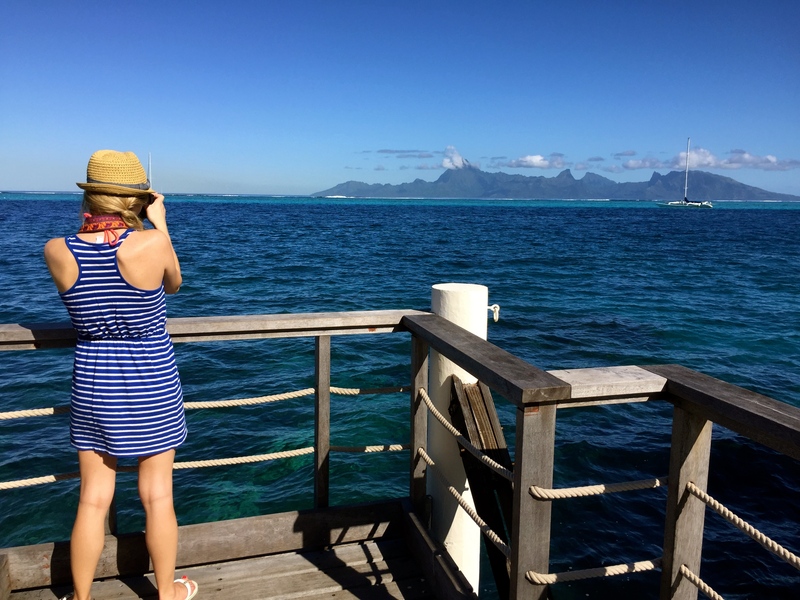 Our first official YOHO ruling as Husband & Wife – Upgrading our seats to Tahiti. As someone who has never flown business class, this was simply outrageous. 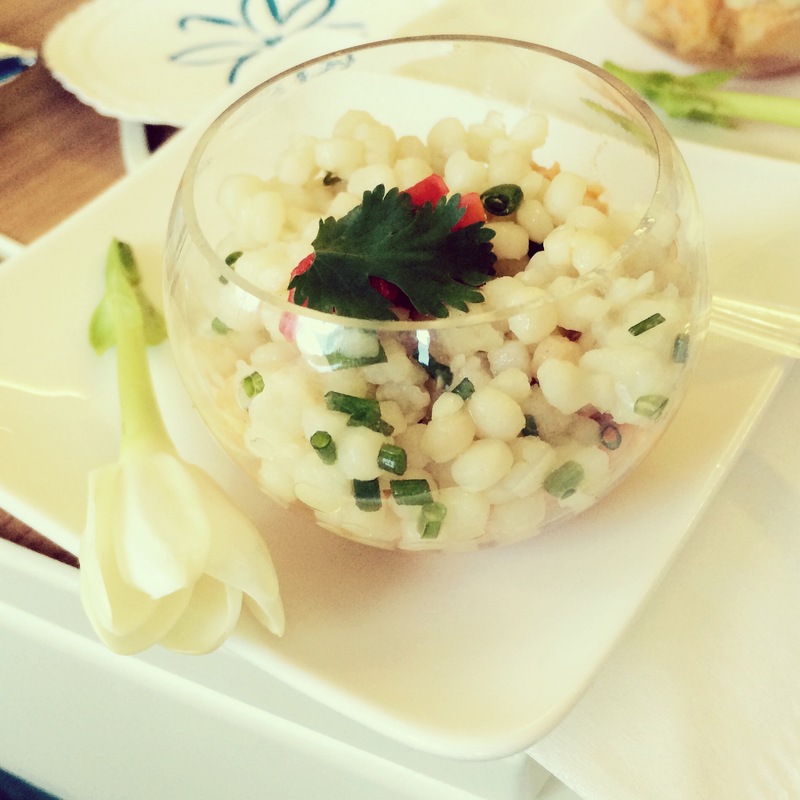 Yes that is a delicate little glass bowl of Israeli cuscus with smoked duck on the bottom… (what in the world?!). 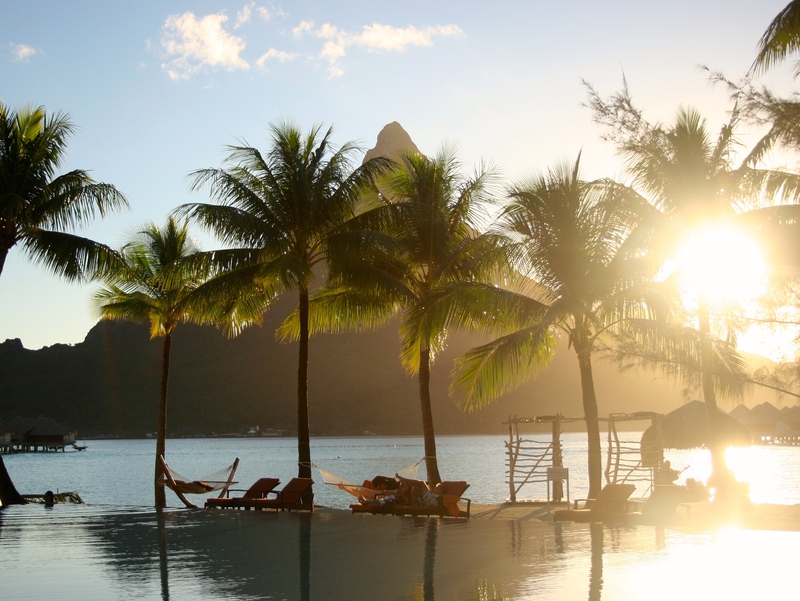 As you walk across the Bora Bora Tarmac it’s easy to see you’ve arrived in paradise. With one runway & one terminal, salt water & seclusion are here to greet you. 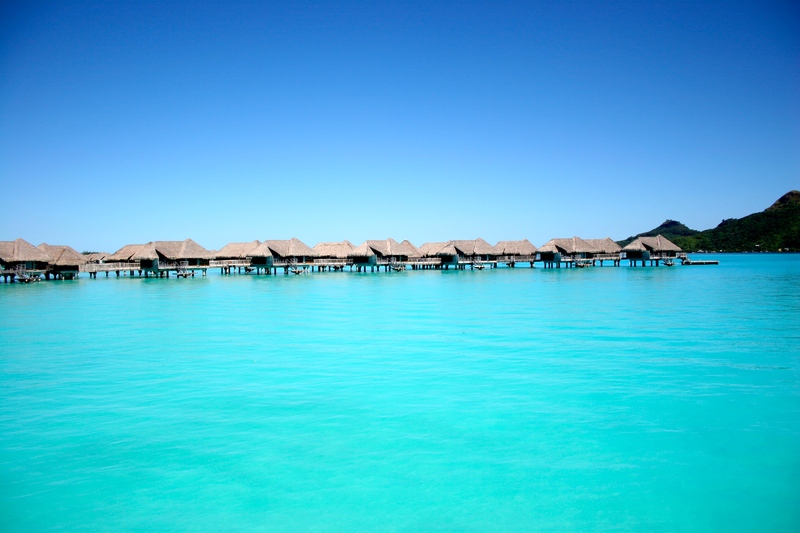 It’s just over water bungalows & crystal clear water. We took advantage of the (free) water sports our hotel had to offer, we spent mornings kayaking, stand up paddle boarding & snorkeling. 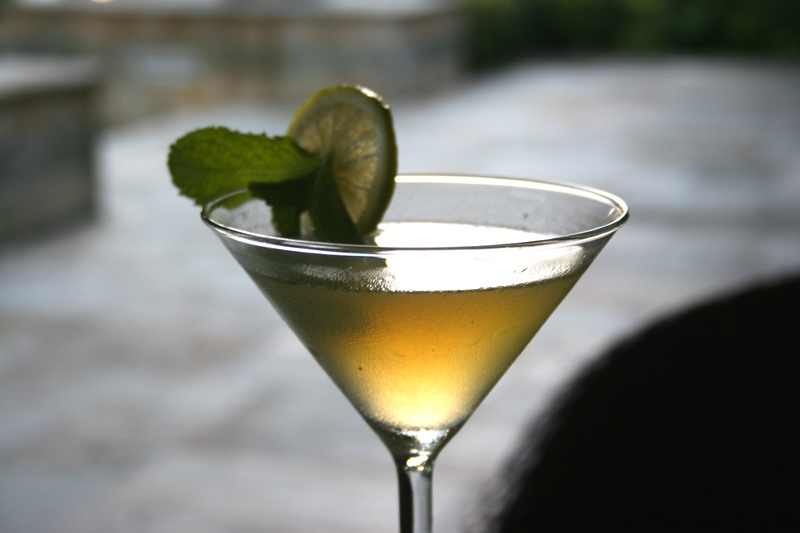 We spent the evenings indulging in our resorts “happy hour” & watching the sun go down. 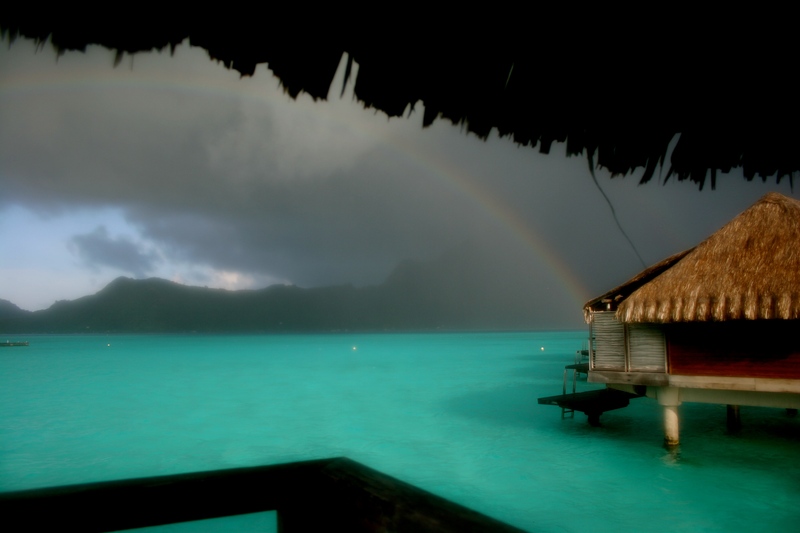 And even on the stormiest day – a rainbow appeared for us. A huge question is How!? Let me preface with not all YOHO honeymoons look the same, nor should they. you can plan a YOHO honeymoon on any budget & there are easy ways to save money to help. My husband and I were not only finding ways to save money but also like most couples, were pushing ourselves to work out more. So for our 18 month engagement we paid ourselves to work out! It was as simple as one dollar per workout done individually. We would put in an extra dollar if we had worked out together & we gave ourselves credit for even small workouts like going for a walk. The 30 days before the wedding we upped the ante by doubling how much workouts were worth as a “final push” to the wedding. When I first proposed this idea, I got a funny look, but as the dollars started stacking up so did the motivation. By the time our wedding rolled around we had saved nearly $600 ($568 to be exact). This is a perfect example of an easy and motivating way to save money that can really add up. We also agreed to closely look at our spending and see where we could save. Sidebar: I think before you combine finances with your spouse or soon to be spouse it’s important to see the whole picture. Websites like Mint.com or LearnVest.com help you see all your assets and debt in one place. You are able to categorize spending, create budgets and savings goals. It’s nice to see one another’s spending habits before combining forces. When we looked we found places to save. For instance we made an effort to decrease the number of Uber rides we were taking and use alternative methods. I cut back on manicures and pedicures & cancelled magazine subscriptions that I no longer read. These sound small but when put together they add up, just like the dollar per workout. In preparing for our wedding I went through our apartment & really evaluated our possessions. Do I ever really wear this top? this jacket? these uncomfortable heels? We went through both our closets and found items that we could sell at Buy n Trade stores nearby. We also donated plenty of clothes to my hospital & our household items to Goodwill. All in all from selling the clothes we made about $80, not terrible. I will add that my donation pile was far greater than my sell pile. I also gained valuable shelf space in spare closets & kitchen, which for me was the biggest gain. The down and dirty of how we managed? The biggest contribution is I took a second job, it sounds incredibly drastic, but i’ll assure it wasn’t that bad. As a full time ER nurse I work 3 days a week, so I took a position teaching nursing students while they’re in the clinical setting (hospital) for one day a week. AKA: making sure none of the incredibly novice nursing students kill anyone. This second job was a perfect way for me to add a significant amount to our wedding fund. This worked for me because it was short term, only 16 weeks, and only one day a week. A second job isn’t plausible for everyone, especially since most of our second jobs are planning our wedding! But evaluate and see if you’re qualified for some part time position like the teaching job I found. Not only did we have the extra income from my second job but we managed to find an excellent deal on our dream honeymoon. 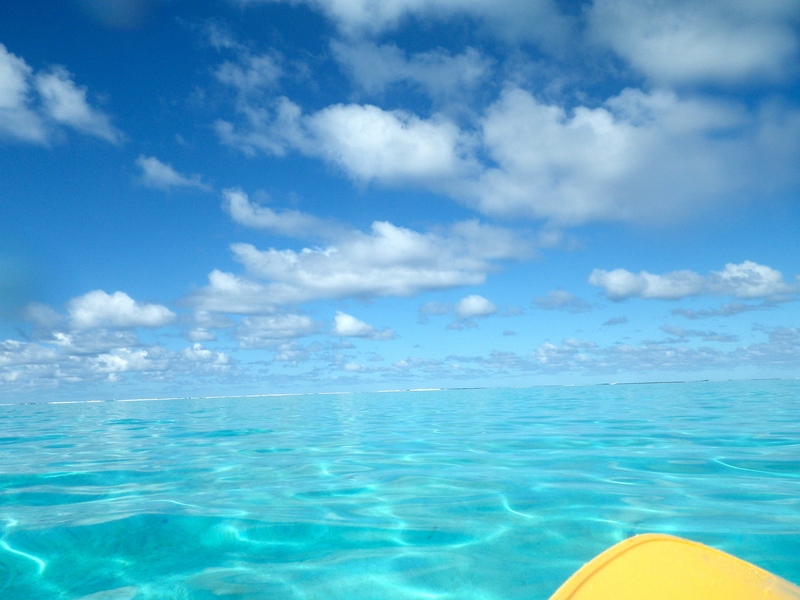 I now will recommend booking any French Polynesia trip through, of all places, Costco! It sounded a little bizarre to us too, but once we compared hotel rates, flights and dining expenses it made the most sense. 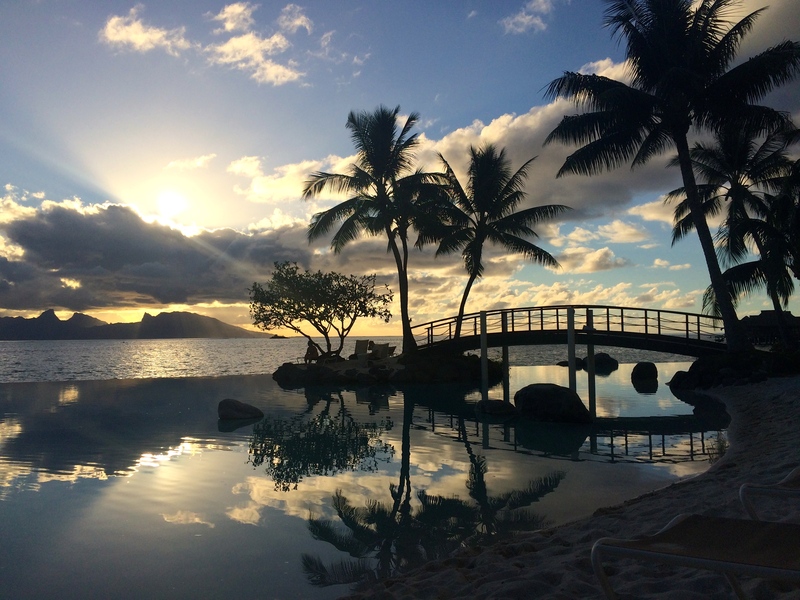 The package that we chose included Airfare (from LAX), Hotel Accommodations (yes the overwater bungalow was included) & our package included breakfast & dinner each day. This was by far the best deal we could find. I can’t speak highly enough about our experience using Costco, & I swear I’m not sponsored. We didn’t have any kind of hiccups with flights or transfers, there wasn’t any trouble regarding dining, & it was easy & for the most part paid for upfront. So for any brides out there looking to book their honeymoon I’d say definitely at least browse what Costco Travel has to offer and compare it to prices you’re seeing elsewhere. See more photos of our YOHO Honeymoon below. Infinity pool & swim up bar – definitely YOHO worthy. Life below the water is equally as breathtaking! Getting a little SUP Yoga in. Side note: Yes we both managed headstands! The sun rising over the Pacific & below, the sun setting. Did you plan your own YOHO honeymoon?! If yes I’d love to hear all about it.